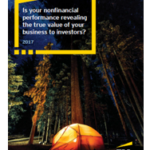 Is your nonfinancial performance revealing the true value of your business to investors? 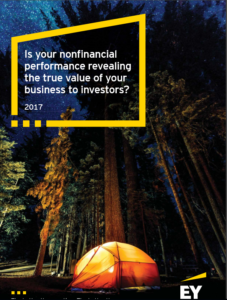 EY member ﬁrms are able to conclude from several years of research of ESG reporting that there is a global trend toward increased interest in nonﬁnancial information on the part of investment professionals. But the question we continue to seek to answer is whether ESG information is, ultimately, inﬂuencing investor decisions. In each of the last three years, research undertaken by EY has documented an expanding role of ESG factors in the decisionmaking of investors around the world. Investors around the world reveal broad support for the environmental, social and governance-related themes expressed in a February 2016 memo from Laurence Fink, Chairman and CEO of BlackRock, to the leadership of the world’s largest companies. Investors strongly support Fink’s call for an annual board approved strategy statement for public companies. They agree that environmental, social and governance (ESG) factors present risks and opportunities that have been neglected for too long. Yes, say investors, sustainable returns require a sharper focus on corporate governance and on environmental and social factors. Disclosure and scrutiny of nonfinancial information will continue to grow in importance in the years ahead. The Paris Climate Conference agreement will lead to an increase in disclosures about companies’ climate practices and risk management strategies, say investors. They report that recent environmental and social scandals have driven them to reevaluate nonfinancial disclosures and look more closely at available information. Nonfinancial performance plays a pivotal role in the investment decisions, for most of the surveyed investors, and for a greater percentage of investors than in previous years. Despite the increasing importance placed on nonfinancial performance and disclosures, most of the surveyed investors evaluate environmental and social factors on an informal , not structured, basis. 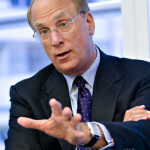 Laurence Fink, whose BlackRock has US$4.6 trillion under management and US$200 billion in sustainable investment strategies, also made a point that mirrors the argument made by many investors who track ESG performance: handling ESG issues well is often a sign of operational excellence at a company. Recent headlines reﬂect why meaningful ESG analysis is increasingly important for institutional investors and the companies they follow. “Larry Fink Wants Companies to Talk More About the Future,” declared Bloomberg Media when the head of the world’s largest investment manager wrote to the CEOs of public companies to extoll the virtues of strong ESG performance and its effect on valuation. Nearly 200 nations met in Paris to negotiate and sign a global climate agreement that will shift ﬁ nancial markets. And one of the world’s largest automakers was embroiled in an unprecedented emissions-testing scandal. These and other news-making events in recent months have propelled ESG to the top of the global agenda. This is despite continued uncertainty in the regulatory environment globally. 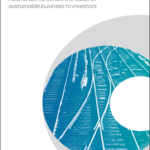 This year’s report on ESG and nonﬁ nancial reporting provides insights into the views of more than 320 institutional investors on nonﬁ nancial reporting by publicly traded companies and the role ESG analysis plays in their investment decision-making. Investors around the world reveal broad support for the ESG-related themes expressed in the February 2016 memo from Laurence Fink, Chairman and CEO of BlackRock, to the leadership of the world’s largest companies. Investors strongly support Fink’s call for an annual boardapproved strategy statement for public companies. They agree that ESG factors present risks and opportunities that have been neglected for too long. Yes, say investors, sustainable returns require a sharper focus on corporate governance and on environmental and social factors. Disclosure and scrutiny of nonﬁ nancial information will continue to grow in importance in the years ahead. The Paris Climate Conference agreement will lead to an increase in disclosures about companies’ climate practices and risk management strategies, say investors. They report that recent environmental and social scandals have driven them to reevaluate nonﬁ nancial disclosures and look more closely at available information. Nonﬁnancial performance plays a pivotal role in the investment decisions for most of the surveyed investors, and for a greater percentage of investors than in previous years. Also, a dwindling percentage of investors believe that it is unclear whether nonﬁ nancial disclosures are material, down substantially from surveys in 2015 and 2013. The risk of stranded assets remains a substantive concern for institutional investors, continuing a trend documented in last year’s report. More than 60% of the investors in our 2016 survey reported recently decreasing their holdings or monitoring holdings closely due to stranded asset risk. Investors believe the biggest factors motivating companies to report ESG information are the reputation of companies with their customers and regulatory compliance mandates. Most investors believe that companies don’t disclose ESG risks that could affect their business.